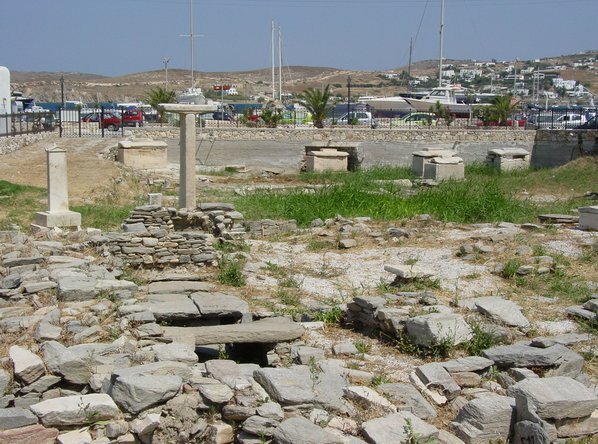 Paros accommodation is subsidized by "Information Society"
Near Parikia port. From the Geometric period (8th cent. BC) to the Roman period (2nd cent. AD). Maybe the most important site of its kind in the world. Most burials belong to the second half of the 7th century BC. Just south of Parikia, the foundations of the sanctuaries of Pythian Apollo and Asklepios, sit upon a hillside. Unfortunately, much of the Pythian's foundations has been destroyed and only remnants of the temple can be seen on the upper hillside. 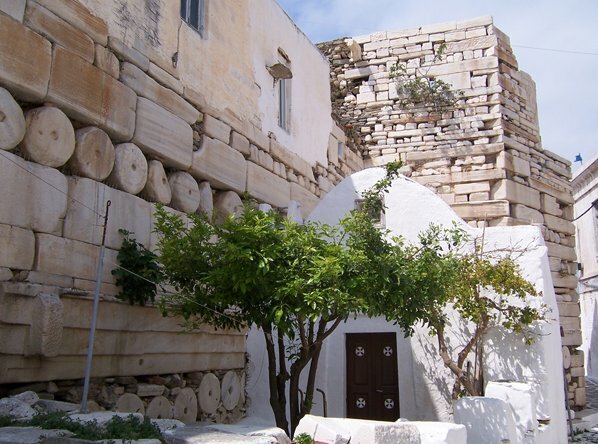 In the heart of the Parikia old town, lies the Frankish Castle, or Kastro, built in 1260 A.D. by the Duke of Naxos with pieces of ancient temples & other constructions. In the photo above, you see the north east guard wall. 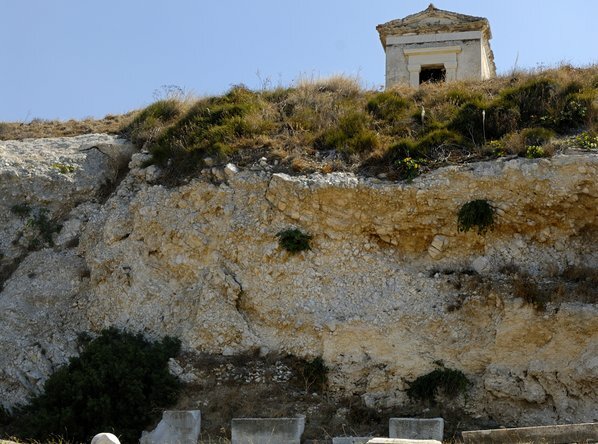 The foundation of Athena's ancient temple is part of the front of a post- byzantine church called Agios Konstantinos, located in the Kastro. Next to the church lie limestone remains of prehistoric settlements. 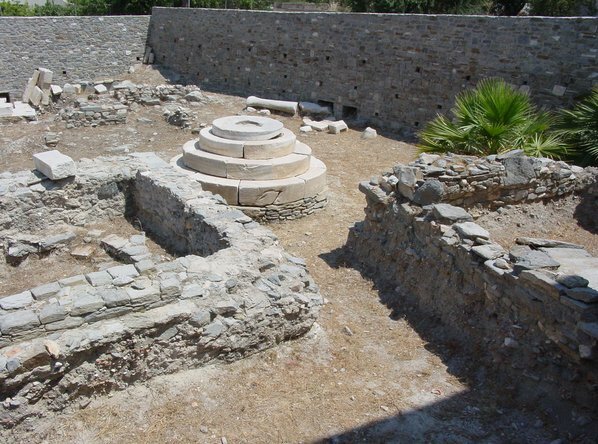 Behind the Archaeological Museum are the remains of three Hellenistic housing complexes. 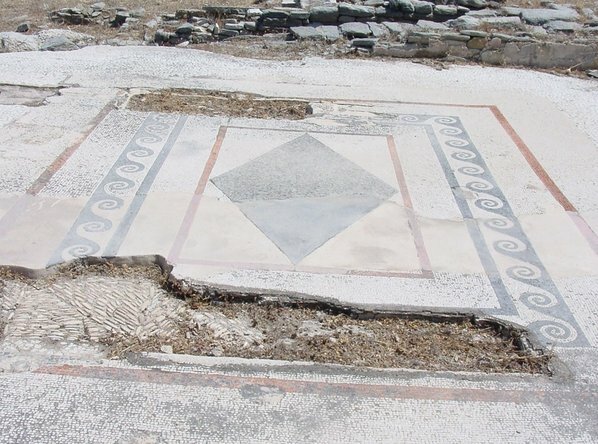 Amidst the remnants of foundations lie the most remarkable remains: the Hellenistic mosaics, dating from the 3rd century B.C. 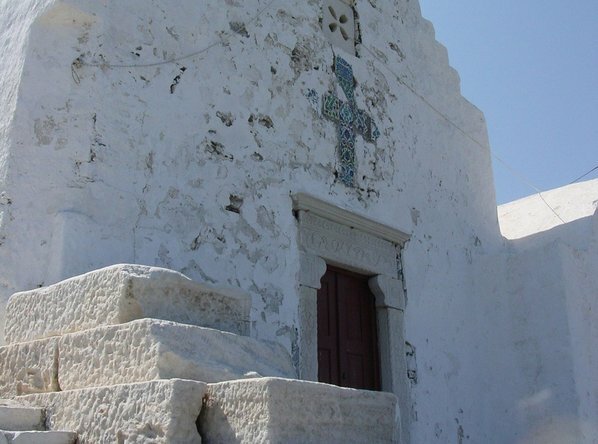 The Open Air Sanctuary is located in the Aghios Pantelleimon Area, east of the Paros Archeological Museum. Kourai statues were uncovered here, which can be found in the Museum. Also, an unfinished Kouros can be found in the area. On the way to Naoussa from Parikia lies the Tris Ekklisies, “Three Churches”. 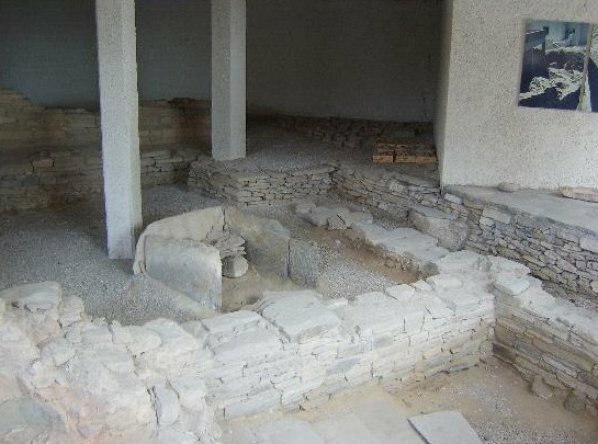 Under the remains of the churches from the 17th century, an early Christian basilica from the 6th-7th century A.D. was found, ancient material was used in the construction. Next to the peripheral road stands the ancient pottery workshop with a well organized layout. In the workshop’s interior we will find the remains of six furnaces and two water tanks. Running figure of goddess Artemis – 4th cent BC. 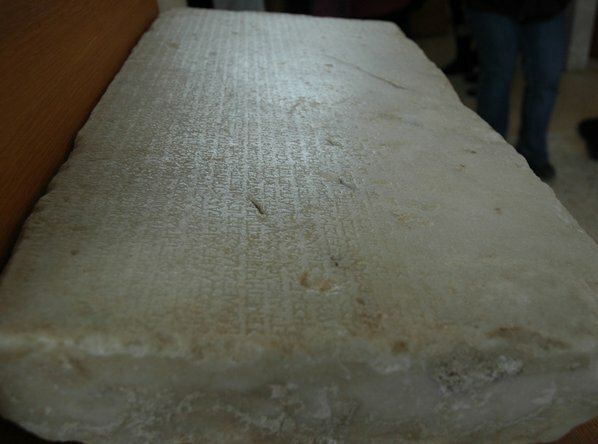 Exhibited at the Paros Archaeological Museum, in Parikia. 5000 BC. Small figure of the islet of Saliagos, between Paros & Antiparos. 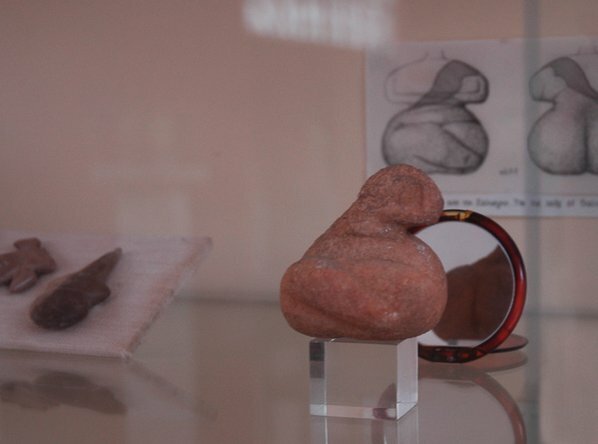 The oldest marble statuette found in the Cyclades, representing a pregnant woman; the miracle of giving birth was worshipped in those times. 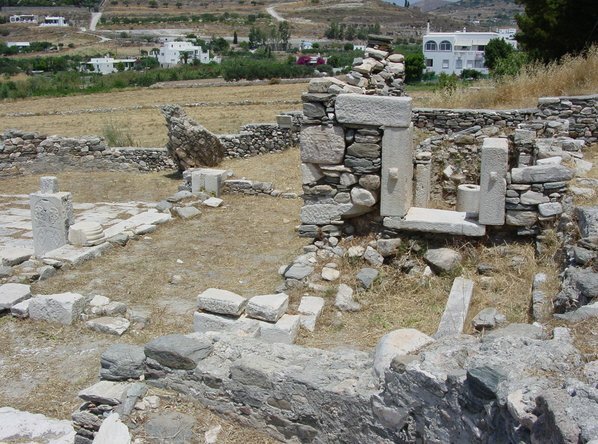 Οne of the 3 plaques where 1300 years of Paros history (from 1583 to 284 BC) were depicted in 130 verses. It includes famous persons, weather & geological conditions that affected every day life, social structure of those times etc. 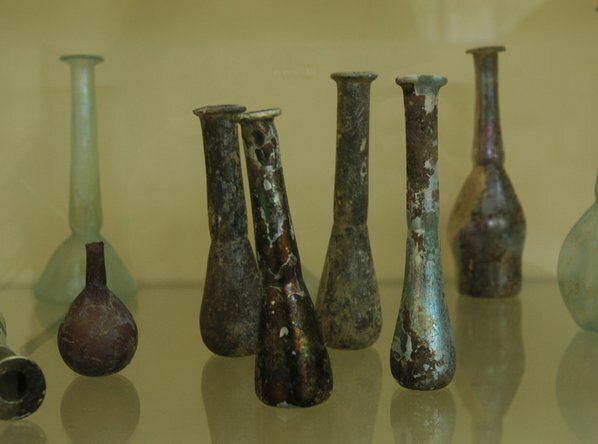 Mortuary offerings, made of glass most probably brought by Egypt put in the graves – where friends & relatives of the dead gathered their tears. 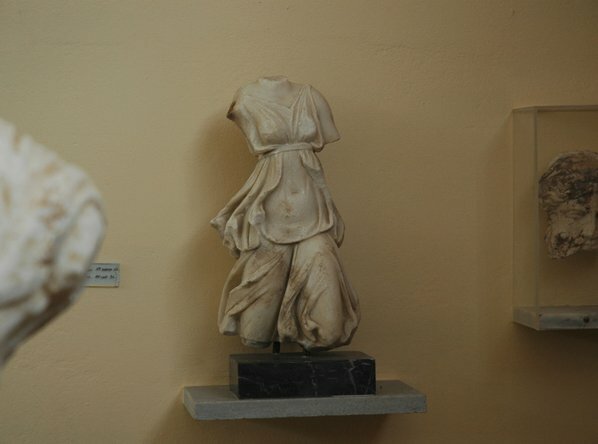 Exhibited at the Paros Archaeological Museum, Parikia.